I am always on the lookout for good sounding budget friendly amps and the Bravo Amps have been on my sites for a few months now. Since just a few days ago, I have been listening to not just one but two variations of the Bravo amps namely the V1 and the V2. These amps seem to be very similar in design looking almost identical to one another except for the difference in two caps at the front portion of the amp. I think the difference in the caps makes The V1 be able to work with the Electro Harmonix 6922 and the Shu Guang 12AU7 tube with the V2. I don’t think the tubes can be swapped between the two amps without doing any modifications. In this review, I will be talking about the sound of the Bravo amps as they sound in their stock configurations driving the 32 ohm Grado 225i and the 300 ohm Sennheiser HD600s. I might comment later on also about the changes in their sound if ever I get to do any tube rolling or modifications. I will also talk about how the Bravo compare with other amps that I have with me at the moment including the FiiO E10, FiiO E9, a DIY OTL Tube amp (codename: Kraken) with a similar design as a Bottlehead Crack/ Woo Audio 3. Using both the Grados and the Senns, these two amps affect the headphones in the same ways. What I mean by this is that the frequencies that I feel that are boosted or recessed in the amps sound signature are the same whether I use them with the Grado SR225i or the Sennheiser HD600. I am mentioning this because some amps like the FiiO E9, for example, react differently to headphones with different impedances. The E9 colors the tonality of the sound more when driving lower impedance headphones from what I have observed vs when using them with higher impedance cans while the Bravos, however, seem to hold their signature regardless of which headphone is used with them. Technically speaking, these amps seem to be very similar in the way they distort when overdriven and have about the same amount of refinement, but their tonality is what makes them different from each other. The V1 has a more V-shaped response with bigger bass and brighter highs while the v2 is relatively more mid-centric. I confirmed this to be true when driving both my Grado and Sennheiser headphones. Powerwise, the V1 and V2 drive 32ohm Grados and 300-ohm Senns to roughly the same amplitude before I can hear the amps clip. This is cool and makes them good allrounders because most inexpensive portable amps I have tried including the USB powered FiiO E10 drive lower impedance cans better than higher impedance ones while on the other hand, OTL tube amps are the other way around. The DIY Kraken OTL amp I have with me here, for example, drives the 300-ohm Sennheisers with authority but cannot even make me listen to my Grados without them clipping before it can reach a satisfying level. As for what I like more between these Bravos, I would give the nod to the 12AU7 based V2 due to their more neutral balance. The V2 are just more musical sounding to me than the V1 with both amps using their stock tubes. The V1s may appeal to the Basshead crowd more though so this is not a definite “better in all aspects” type of declaration. There is, however, a little bit of a startup noise that I noticed with the V1 that is not present on the V2 making me think either there is something wrong with the amp or it could just be a result of the slight difference in their design. The startup noise could also be due to the 6922 tube on the V1 taking longer to warm up and perform to spec than the 12AU7 on the V2. Of course with any tube amp, the tubes used make about as much of a difference in the resulting sound signature than the design of the amp itself. I am sure that with some experimentation in tube rolling, one can tweak these amps to have their own desired tonality which is something that cannot be done with a typical solid state amplifier. Since I like the V2 more than the V1, I’ll talk a little more about them in comparison with amps like the FiiO E10 and the more powerful FiiO E9 desktop amp. The mids on the V2, for example, are juicy and mouthwatering. Violins and cellos soar oozing with a passion that is nowhere to be found in the sound of the FiiO E10 or E9 for example. It seems like the mids and certain parts of the highs of the V2 are more boosted than the E10 giving them this lively character. 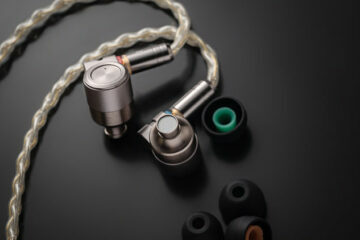 Or should I say that the E10s may be the one that is recessed in the treble vs the V2. 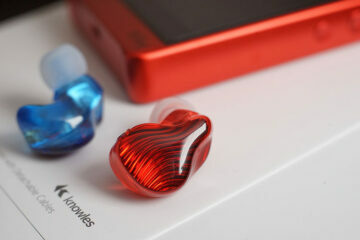 The clarity and midrange resolution of the V2 is just better to me than what can be heard out of the FiiO E9 and E10. The E9, however, is more powerful than both the Bravos, so if you really want to listen to your music at volumes where the hairs inside your ears move during every crescendo, then the E9 is still the better amp choice. As for me, I just sold the E9 because I couldn’t go back to their slightly veiled midrange after listening to the lively and engaging Bravo V2. Again, The V2 is not perfect and has less bass than what I would consider being a perfectly balanced amp but I would still easily take its more organic character over the slightly more mechanical/artificial character of the E9. So far as the treble on the V2 is concerned, They are also slightly on the bright side like the V1 but to a much lesser degree. In fact, the HD600 has great synergy with the sound of the V2 making the Senns lose their infamous veil in this setup. Of course if one desires to change the sound of the V2 a bit, one can do so by doing some mods or by tube rolling. If only I could get the cleaner slam and better bass extension of a good solid state amp like the E9 yet keep the liquid and flowing mids of the V2, I don’t think I would really be looking for an amp upgrade for a very long time. I think that may be a little too much to ask for though when talking about amps under $100. In the end, I would definitely recommend the V2 amp for those that want to get their feet wet with the sweet sound of tubes. Are there even any other tube amps in this price level out there? Just don’t drive a K1000 or an HE6 with them because although the volume knob is capable of a lot of gain, they will surely distort before they can get loud enough. If you are a basshead, the V1 might also be okay but their tuning just wasn’t good enough for long-term listening for my tastes as a midrange lover. I like them both. Changing tube leads to drastic improvement on V1 but less improvement on V2. What tubes did you use on the V1 and V2 to upgrade? Best mention here that I managed to get easy volume out of the Hifiman HE4 with the Bravo Audio amps although it did sound maybe a tad thin. No distortion which was a plus.